Professional, affordable and effective business card design services!! Handing out a business card is often the first impression people take of your business, so you need to get it right. 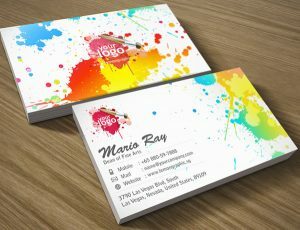 Using your own photography or artwork to create custom business cards can help, and RaaS Designs makes the process easy. We can even get your business cards printed, single sided or double sided, in full colour, and in short print runs. There’s a choice of premium paper for Business Cards too: As well as sustainably sourced Gloss, you can choose 100% recycled with a light satin finish or sustainably sourced, with a smooth matte laminate. After a discussion on the phone or by email about your requirements and deciding on styling & colour preferences, we will get back to you with various different designs to consider, before we refine your business card and get the finished product to you in your choice of file formats: .jpg, .pdf, .tiff. We can also offer premium quality printing in a variety of formats and options.